Well, that's me. The Bad Mom . . . The one who was supposed to take pictures of the munchkins over the holidays to preserve these precious memories of their childhood, and guess what? Christmas morning came and went, and do you know how many pictures I took? I'm embarrassed to say. . . only a few of my little guy with his presents (only because he got up first) and NONE of my little lady with her presents . . . NONE! How can that be? My camera was within arms reach the whole day, but I honestly got so busy helping them unwrap their presents and passing out presents that the camera just didn't get much use. 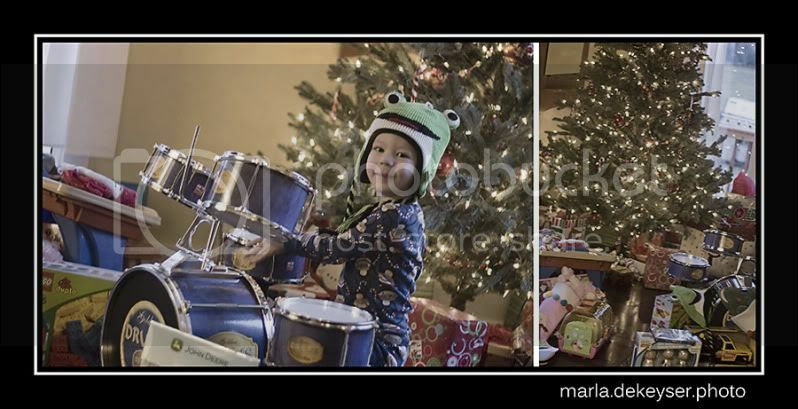 OK, here is the one and only picture I have of my kids together on Christmas morning. 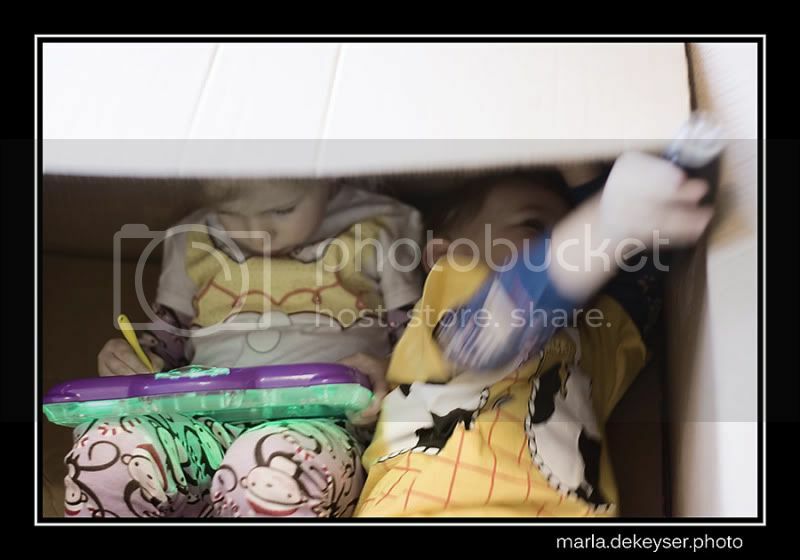 They were playing in a large empty box in the living room, and I just happened to snap this image as my son was opening and closing the lid. The little lady is playing with her new glow-doodle (which she immediately loved), and not only are they sporting their new Christmas pajamas but their Woody and Jessie shirts that they got from Santa in their stockings this year. Next year . . . there's always next year. I promise to make up for the pictures!